Bee Removal in Lake Wales – Lake Wales is home to bees, bees, and more bees! We have helped many people and businesses with bees in walls and bees in trees in Lake Wales. Honey Bees are the most common bees we see in Lake Wales because of the high number of orange groves. When they are not pollinating the orange blossoms, honey bees will make their bee hives in the soffit of roofs and can be dangerous to by passerby’s. Bees will also become a hazzard to the structure of the building. Bee hives can grow by up to a pound per day and the bees themselves can mine through wood beams. If you find a bee hive in your house, do not attempt to spray the bees or remove the bee hive yourself. Contact a bee removal company in Lake Wales to do the job for you. Bees can be dangerous and it is best to leave it to a certified professional. 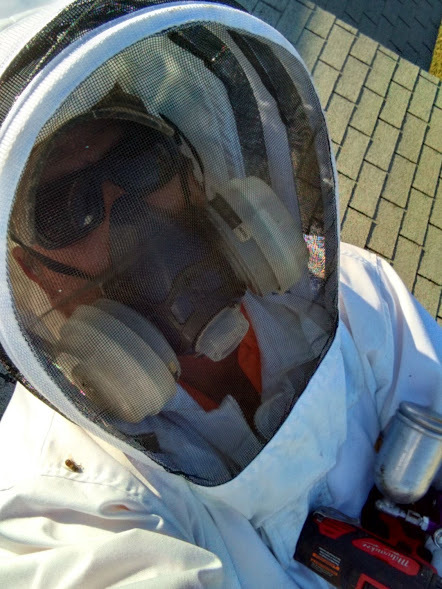 Bee Man Stan specializes in live bee removal and relocation and always try to save the bees. We have removed many bees in Lake Wales and will be happy to help with your bee problem today. We are licensed and insured to remove bees safely and efficiently. We also have a one year guarantee on all of our clean outs. Contact us today for bee removal in Lake Wales.